Apply to Promise Community Schools through our open enrollment lottery. Click here to apply. Promise Community School admits students of any race, color, and national or ethnic origin. 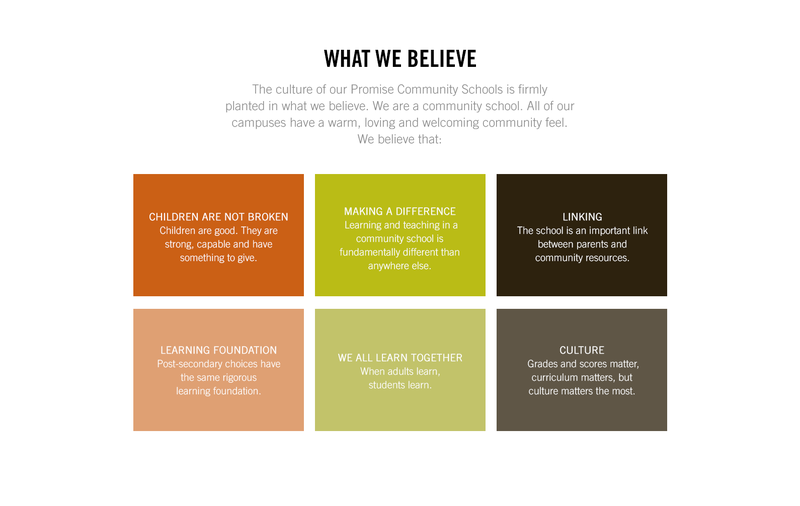 Interested in joining the Promise Community School team? Visit our careers page to apply. If you’re interested in enrolling your child in our PK-8th Grade Charter Schools, please contact one of our schools. If you’re interested in enrolling your child in one of our Head Start/Early Head Start centers, please contact one of our Head Start/Early Head Start Centers. Notice of regular meeting - Board of Trustees. Click here for more information. As set forth in our Local Wellness Policy, the Promise Community School District does not allow vending machines on school grounds, nor does it allow the use of tobacco on school grounds or at school events. If this practice changes, a policy will be generated and posted here. Promise Community School complies with Texas Local Gov. Code 176.009. At this time, there are no conflicts disclosure statements (Form CIS) or conflict of interest questionnaires (Form CIQ) to disclose. Any future disclosures will be posted in this space.